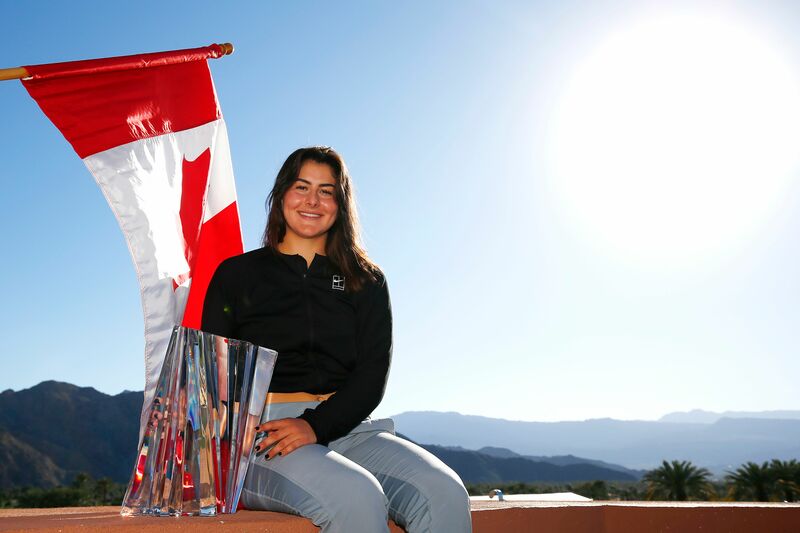 INDIAN WELLS (United States): Canadian sensation Bianca Andreescu became the first wild card to win the WTA title at Indian Wells on Sunday with a gritty 6-4, 3-6, 6-4 victory over Wimbledon champion Angelique Kerber. Andreescu, 18, shook off fatigue to topple the eighth-ranked German, who hasn’t won a title since she beat Serena Williams in last year’s Wimbledon final for her third Grand Slam crown. She has racked up 28 match wins in 2019 across all levels, including qualifying and challenger circuit wins – but Sunday’s triumph was a cut above. She broke Kerber in the next game, taking a 15-30 lead with a lovely drop shot-lob combination, and giving herself a break point with an overhead winner before converting with another forehand winner. Canadian teen Andreescu topples Kerber to win title 0 out of 5 based on 0 ratings. 0 user reviews.